About - Jennifer Rollin, MSW, LCSW-C Eating Disorder Therapist in Rockville, Maryland. Serving Montgomery County, Maryland. Specializing in the treatment of anorexia, binge eating, orthorexia, bulimia, compulsive exercise. Jennifer has experience working in a variety of settings including, an outpatient mental health clinic, therapeutic group homes for adolescents, and a sexual assault crisis hotline. She serves as the chairwoman of Project Heal's national network of eating disorder treatment providers. Jennifer has been named as one of the top eating disorder experts in the world by Balance Eating Disorder Treatment Center. Jennifer has been interviewed speaking about eating disorders on Fox 5: Good Day DC, ABC 7: Good Morning Washington, PBS, and NBC 4. She gives talks about eating disorders at national eating disorder conferences, therapy centers, and colleges. She is an expert writer for The Huffington Post and Psychology Today. Her professional blog was named one of the top eating disorder blogs in the world. Her articles have reached thousands of people through websites, magazines, and books, including, Eating Disorders in America: A Reference Handbook, EatingDisorderHope.com, Anxiety.org, NationalEatingDisorders.org, and Social Work Today Magazine. I use different clinical approaches based upon the client's needs, but I particularly enjoy using elements of acceptance and commitment therapy (ACT), dialectical behavioral therapy (DBT), and cognitive behavioral therapy (CBT). I am an advocate for the health at every size and body-positive movements. ​My passion is helping people to recover from eating disorders and body hatred. "Jennifer Rollin is one of the leading eating disorder experts in the country, and one of the most passionate and dedicated therapists I've ever worked with. 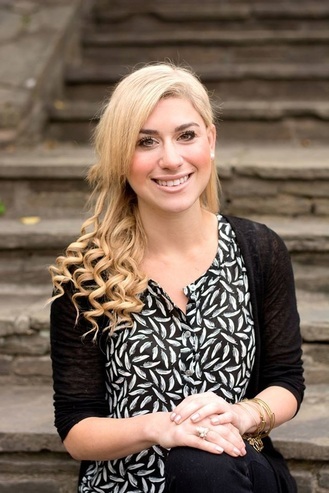 She has excellent knowledge and expertise of evidence based treatments for eating disorders, and in addition, really goes the extra mile for patients and families-ensuring that every client who works with her has the tools to reach full recovery."